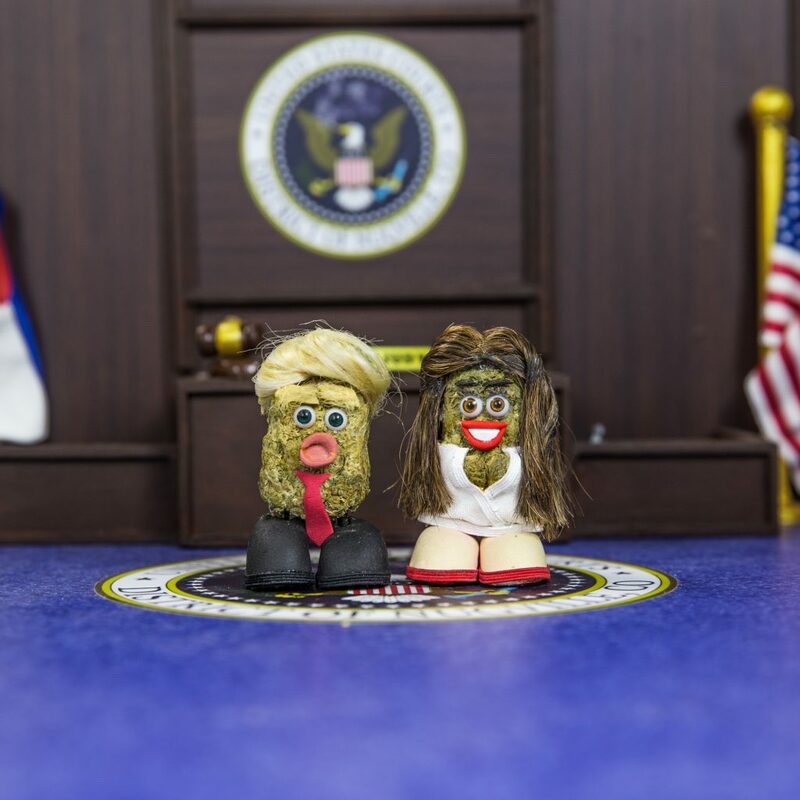 Presidents Day – Time for Celebration or Mourning? The current President of the United States Donald Trump with First Lady & 3rd wife Melania. 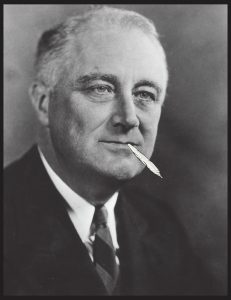 Franklin Delano Roosevelt – 32nd President of the United States – As we like to think of him, stoned. But few people probably realize that it wasn’t a holiday created to honor all U.S. Presidents, it was originally known as Washington’s Birthday. That’s right, it was specifically created to honor George Washington, a man deserving of this observance, mostly, he did own 317 slaves. But he did give them freedom upon his wife’s death so he has that going for him, hooray! It was the fourth nationally recognized federal bank holiday, joining the ranks with Christmas Day, New Year’s Day, Independence Day, and Thanksgiving. Washington’s Birthday was the first holiday to celebrate an individual American—the second was Martin Luther King Jr. in 1983. Today the holiday is considered a time to celebrate and honor all U.S. Presidents past and present. But do they all deserve such distinction? Have they all held the interest of the people as the catalyst for their policies? The simple answer, hell no. Because even former Presidents who served with distinction have made monumental blunders. Take FDR for example. Often ranked among the top three U.S. Presidents among scholars, alongside Washington and Lincoln, Roosevelt was the commander and chief in 1937 when the Marihuana Tax Act was sworn into law, basically starting the federal prohibition of cannabis. So, while FDR was responsible for Social Security, minimum wage, and the United Nations, he was also the man in charge when our country allowed the interests of a few (Hearst & the DuPont company) to limit legal access to weed. And while we at The Nug Nation appreciate having a 3 day weekend, we don’t necessarily celebrate having our rights trampled on by special interests, whether those interests are individuals or corporations (wait, are those the same now?). Kinda nice to know that not that much as changed in the last 80 years huh? So in honor of Presidents Day, roll a big fat blunt and smoke yourself into a stupor. Because while some things haven’t changed in almost a hundred years, some have, even if our federal government has yet to get on board. *Disclaimer: The information contained in this blog is for entertainment purposes only. If you’re offended in any way, you might want to take a closer look at your belief systems and get over yourself. The views expressed herein, are obviously uninformed, silly rhetoric. Enjoy!